We often hear from employers and apprentices that they don’t claim their training tax credits. Nobody loves tax time but here’s the quick math that says the reward is definitely worth the effort. Training tax credits are refundable. This means even if you don’t owe any taxes to subtract from, you’ll get that money back. Not claiming those credits literally takes hard-earned money out of your pocket. Employers can claim up to $9,500 per apprentice over the course of Quadrant’s 4-year program (non-Red Seal). This savings increases by an additional $4750 for apprentices that are registered First Nations or persons with disabilities. Use form T1014-1 (employers) to claim the BC Training Tax Credit amount allowed for your employee’s year of study. Apprentices can claim up to $5500 over the course of Quadrant’s 4-year program (non-Red Seal). Use formT1014 (individuals) to claim the BC Training Tax Credit allowed for each year of study. There is also the Federal tax credit for tuition, education, and textbooks. This is not a refundable tax credit but is applied against taxes payable or can be transferred to a spouse or other supporting individual (parents or grandparents). Use form T2202A to claim the Federal tax credit. 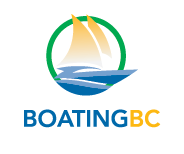 Examples of eligibility and calculations can also be found on the Government of BC website under Training Tax Credits for Employers or Apprentices. Detailed explanation and forms are all on Revenue Canada’s website www.cra-arc.gc.ca or click on the links above. They offer free software choices compatible with their NETFILE system. Whether you do your own taxes or need to hire an accountant to help, you’ll still come out ahead. Don’t lose this opportunity to keep your hard earned money in your pocket.